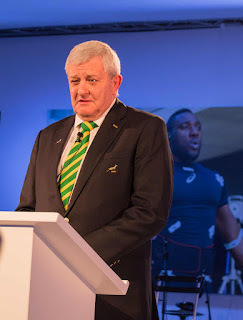 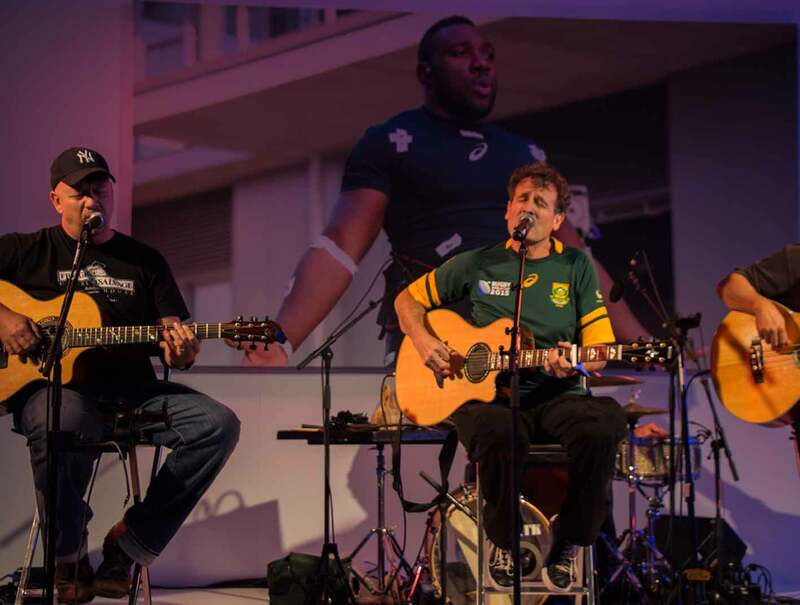 With Johnny Clegg personally performing the Springbok signature “Impi” song, the new Springbok kit that will be worn during the 2015 IRB World Cup was introduced to media and retail representatives with aplomb. 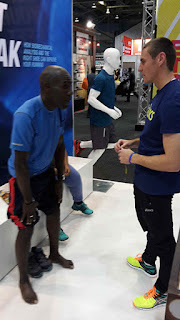 He also announced that ASICS SA will be opening offices in Johannesburg and Durban. 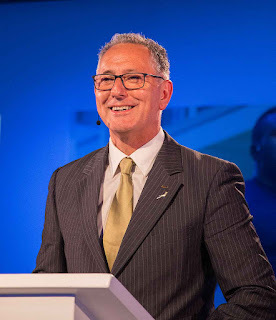 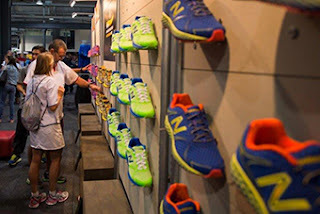 “ASICS believes in Kaizen, which means continuous improvement,” Cameron continued. As implied by the title of the 6-part video series on the developing of the jersey, “Success is no accident” hundreds of hours of testing went into the design of the jerseys. Eight ‘Boks (Jean de Villiers, Tendai Mtawarira, Eben Etzebeth, Bismarck du Plessis, Duane Vermeulen, Willie le Roux, Cornal Hendricks and Pat Lambie) spent three days at the ISS where they were measured, tested and put through their paces in order to ensure that player-specific features are incorporated to give them on-field benefits (see here). 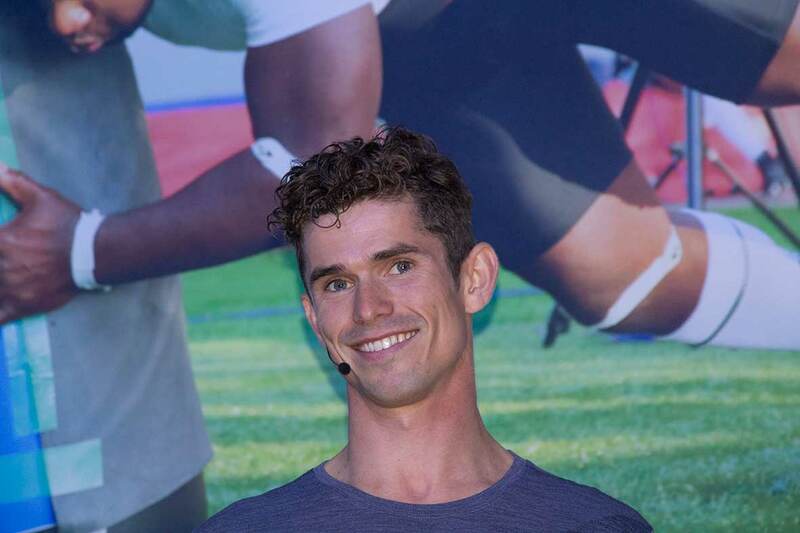 The result is a lightweight (70g lighter than before), high tear resistant jersey made with smooth material that can easily escape the grasp of an opponent, explained James Noorvic, ASICS Global Product Manager. Springboks Eben Etzebeth, Jean de Villiers and Beast Tenderai helped him demonstrate other innovative features, like the placement of silicone grip to optimize breathability, a gusset in the shorts to improve comfort and socks with compression features and a footbed that allows more grip on the shoe. 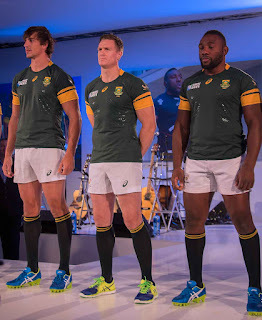 The Boks also told the audience how much they appreciated the care ASICS took to make the jerseys special. 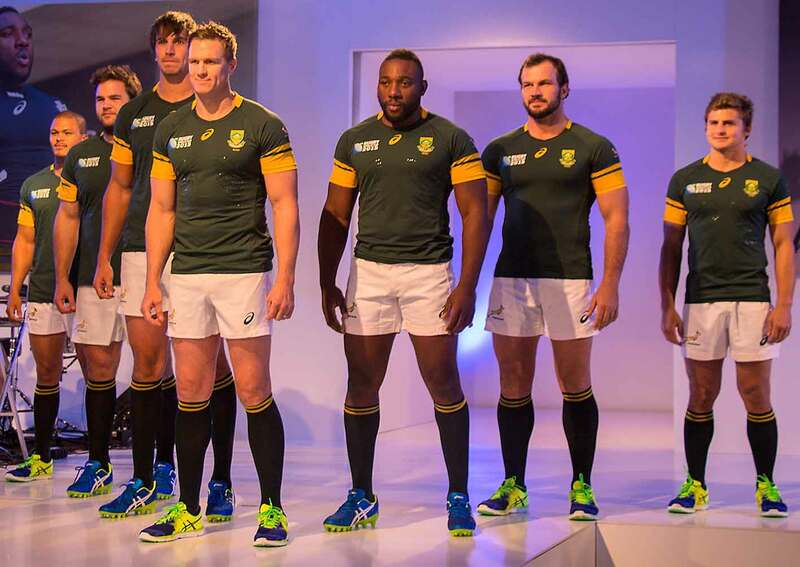 Retailers from across the country were invited to attend the launch of the jersey, which went on sale the next day. 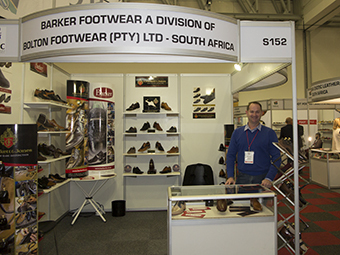 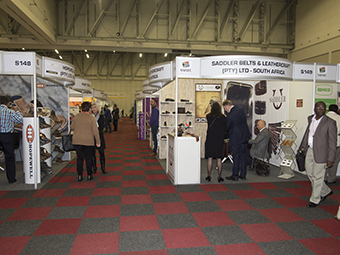 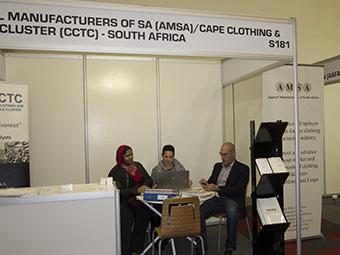 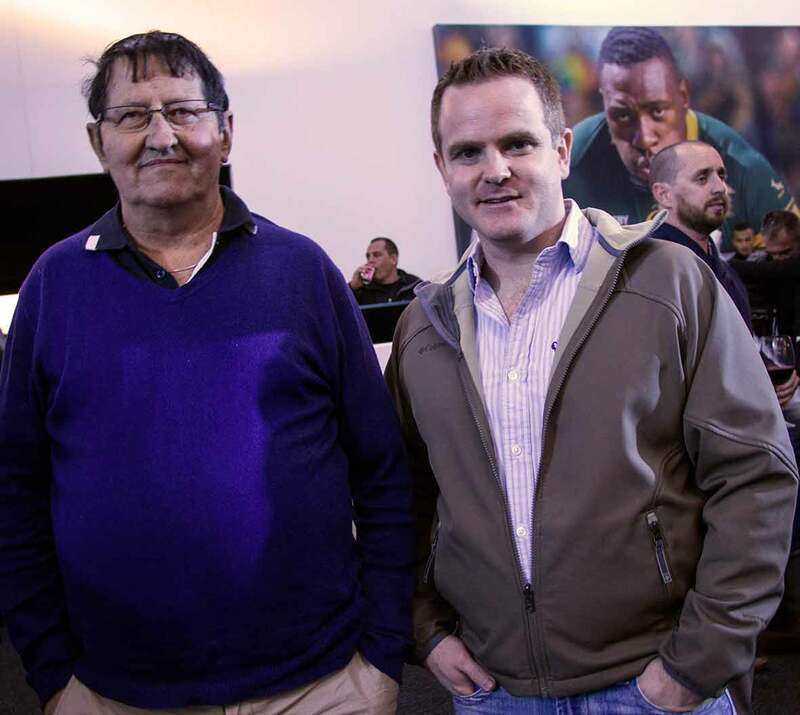 Jax Snyman, owner of the Sweat Shop, came from Johannesburg. 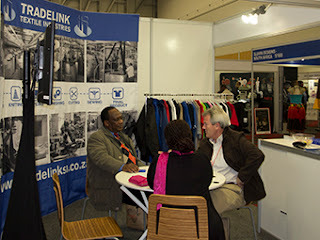 With him is Grant Bryant, manager of the Sweat Shop in Cape Town. Reinhard Barnard and Malan Olwagen from Model Sport drove all the way from Worcester. 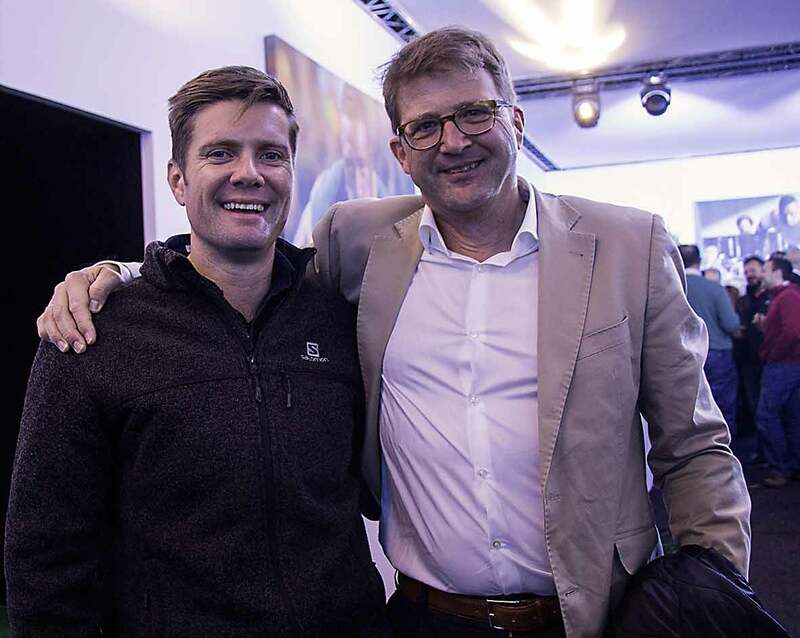 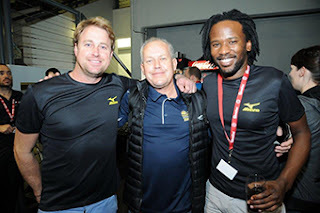 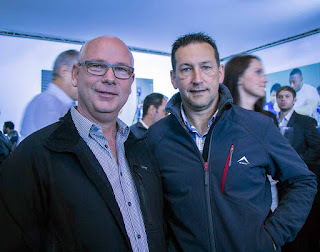 Riaan Oosthuizen of Sportsmans Warehouse with Stefan Heinrich, ASICS’ Head of Emerging Markets, who came from Europe to attend the launch. 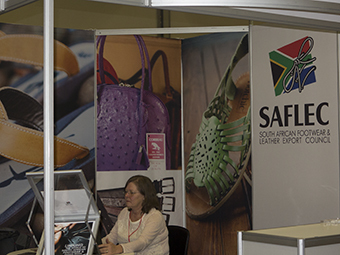 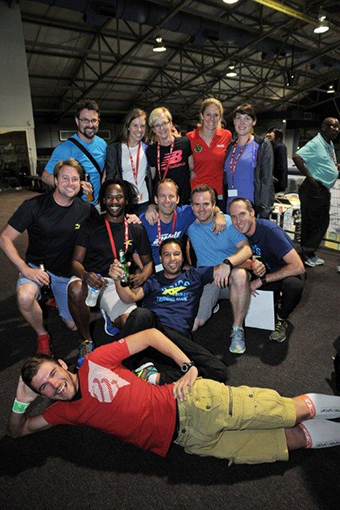 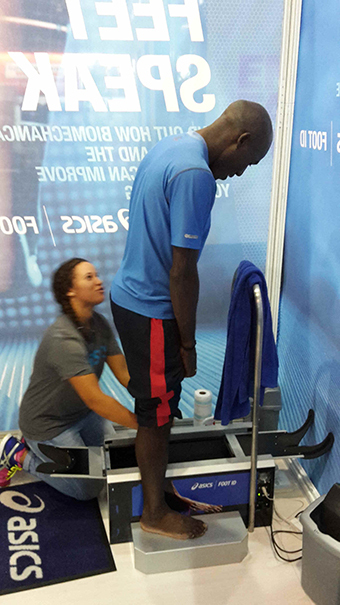 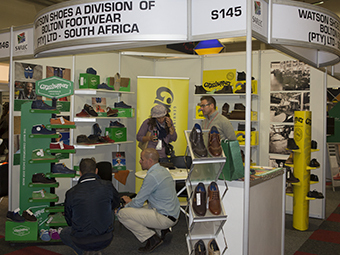 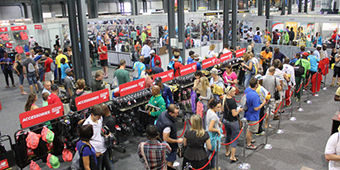 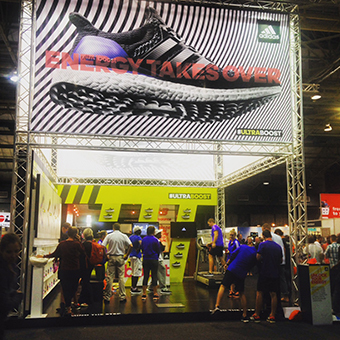 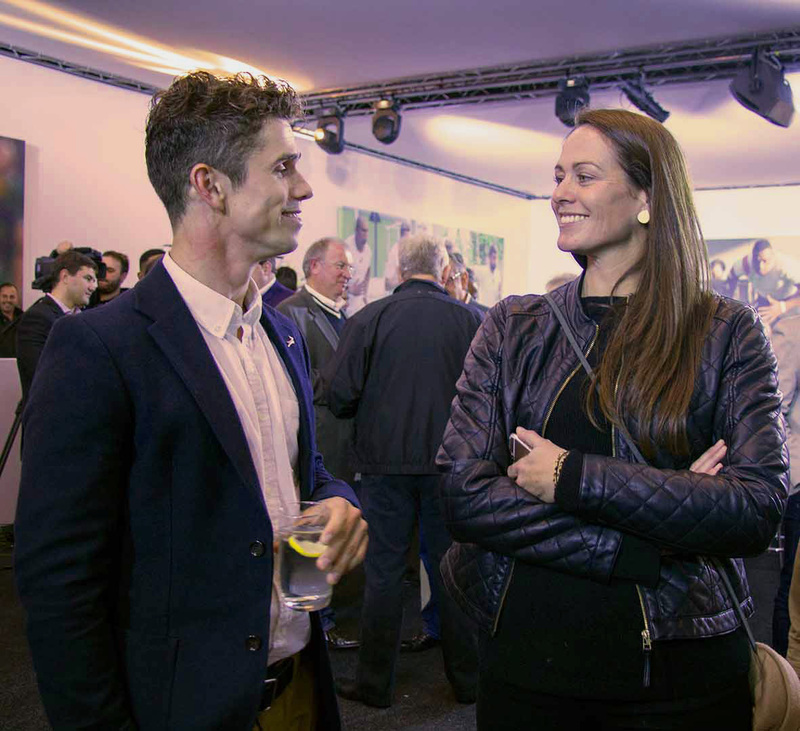 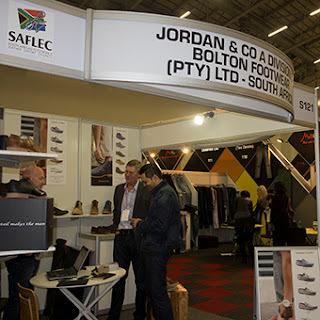 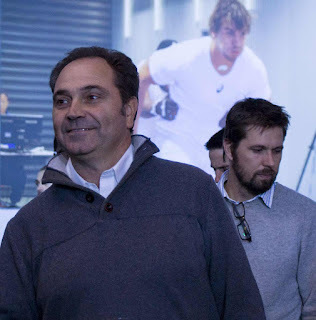 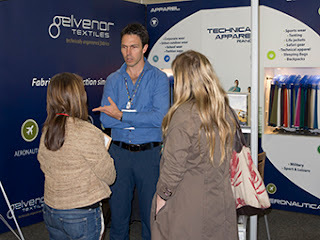 ASICS staff members from abroad and Cape Town were on hand to answer retailers’ questions. 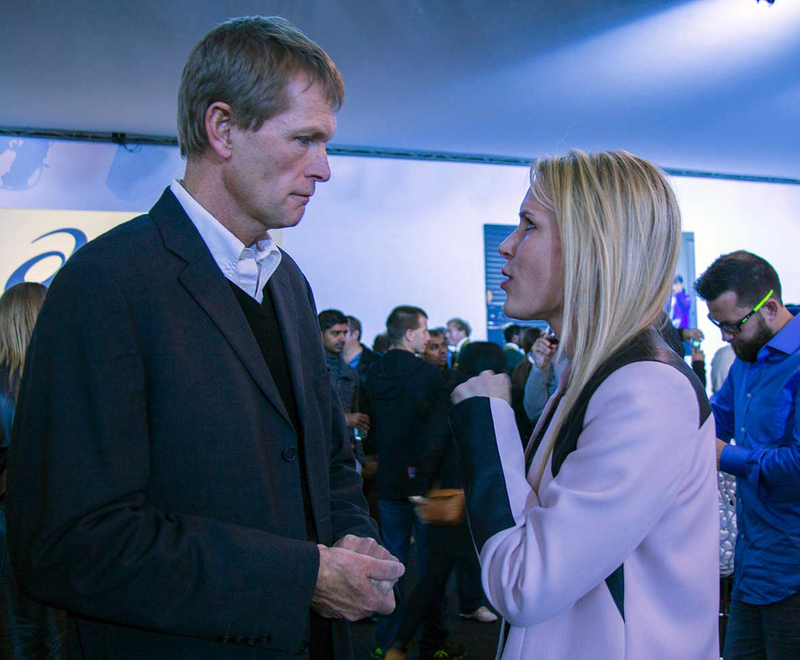 ASICS SA MD, Brian Kerby, in conversation with marketing manager Sarah Mundy. James Noorvic, ASICS Global Product Manager, who came from the UK, shares a joke with ASICS SA Apparel Product Manager Barbara Cole. 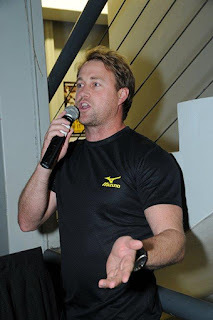 ASICS SA agent Gunner Way enjoying the launch party.